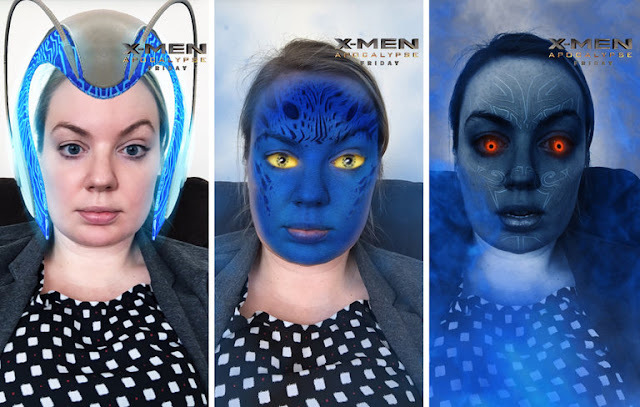 If you are an American Snapchat user, then earlier this week you may have been surprised to find that all your usual Snapchat filters had been replaced with X-Men filters. It was a one-day takeover aimed at promoting the release of X-Men Apocalypse on Friday. Superhero movies are huge and what better app for a possible summer blockbuster to take over. Unfortunately, many of the users didn't seem to agree. I think we can generally agree that superheroes are hit or miss and so are most of Snapchat's filters. Who doesn't want to turn into an adorable dog or cat, after all? On the other hand, the makeup filters are looking to be a little shifty when it comes to lightening people of colour. These X-Men filters wouldn't have been a huge miss like that, but there was an issue with users only being able to access the X-Men filters. If you live outside the US, then you wouldn't have noticed as all your filters would have been the regular rotation. In fact, I checked Snapchat myself yesterday morning to check something on the dog filter (if you have two people, then one of you will be a Dalmatian by the way) and I had no clue about the takeover. As much as many people love X-Men, a complete takeover was clearly a bad idea. Where one or two filters could pique a few new viewers attention, forcing everyone to participate actually alienates the people who do not care. These filters are supposed to attract people to see the movie and instead the only people really enjoying them are the people who liked the series anyway. This means that their promotion has sort of failed. You have to remember that for these filters to have been put in place, they'd have had to pay Snapchat and now it looks as if it might have been a waste of money. If you are going to pay to get a sponsored filter placed on Snapchat then make sure you only release one or two that do different things. Users do want to see something new, but they also want the chance to play with the same old stuff in case they don't like the new. The X-Men filters might have seemed like a good idea when they were paid for, but turns out you shouldn't take over all of Snapchat if you want people to be happy.